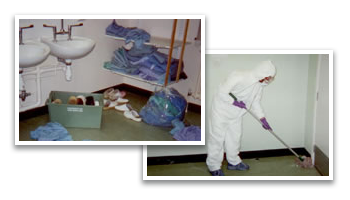 AM Environmental supply Confined Space Entry trained industrial services operatives for decommissioning, decontamination and demolition. In 1930 the de Havilland airfield and aircraft factory opened in Hatfield and was taken over by Hawker Sidley. It was responsible for producing the first passenger jet and the Gypsy Moth, in which Amy Johnson became the first woman to fly solo from Britain to Australia. The site later merged into British Aerospace. During WW2 the factory produced the Mosquito fighter bomber, and later developed the Vampire, Comet and Trident airliners. BAe closed the site in 1993 following the cancellation of the Nimrod project. The land was used as a film set for Steven Spielberg’s Saving Private Ryan and later the television drama, Band of Brothers. 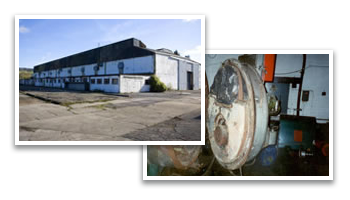 The large site was involved in a variety of manufacturing processes so AM Environmental were involved in the stripping out of and the removal of five plating shops, together with the identification, packaging and safe disposal of all the associated chemicals. AM Environmental worked with a crew of operatives trained in Confined Space Entry in order to decommission, decontaminate and remove all associated plant so that the demolition could proceed. AM Environmental removed the chemicals from site in full compliance with legislation, enabling the land to be developed for badly needed housing, higher education, commerce and retail. Bentham International who specialised in pipework for the petro chemical industry closed their operations in Gloucester. Steeped in history, their large site, Bentham Works, was where many of the UK’s early fighter jets were prototyped and tested. These included the Meteor and the Gloster Javelin. The site required an independent experienced project manager to enable them to clean and decontaminate the site, so that it could be let as industrial units. AM Environmental negotiated the site clearance cost effectively and in full compliance with all current legislation, enabling Bentham International to progress with the letting of the site within their required timescales. AM Environmental work with the Emergency Services to assist in chemical spillages and clean-ups. On 21 February 2002 at the M40 Junction with the M25, an articulated curtain-sided vehicle was involved in an accident, and lost its load of 1,000 litre IBC’s of a liquid containing Toluene Di-isocyanate. This was reacting on the roadway with another hazardous chemical being carried on the vehicle. The accident happened in a central area between two stretches of slip road leading from different directions of the M40 onto the M25. The camber of the roads enabled the spilled chemicals to travel in two different directions for about a quarter of a mile. The driver was in a critical condition and had to be cut from his cab, which delayed the Emergency Services in dealing with the spillage. In addition the pouring rain helped to catalyse the reaction. AM Environmental organised the safe transport and disposal of the waste materials whilst jetting crews and drain cleaning machines assisted tankers and bulk tippers, to enable restoration of the road surface for the reopening of the highway. As this is one of the main arterial routes into London, speed was paramount. AM Environmental worked through the night to provide expertise, flexibility and a quick response to allow the reopening of the motorway before rush-hour the following morning. AM Environmental work with other Waste Management Companies to endorse the services they are able to offer. When disposal site Premier Environmental was declared insolvent, AM Environmental were asked to send in a team of suitably trained chemists to undertake the site clearance. 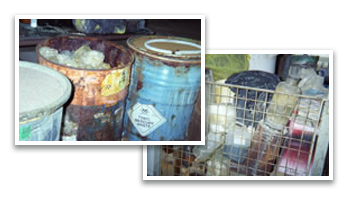 The site clean up of the Transfer Station required a specialist team in order to identify thousands of drums and laboratory chemicals that had built up on site over a period of several years. Each chemical needed to be correctly identified under controlled conditions, then segregated, packaged, labelled and transported for onward disposal, and so a temporary laboratory was set up complete with fume cupboard to undertake this operation. The chemicals identified included cyanides, spontaneously explosive materials, flammables, oxidisers, gas cylinders, radioactives, strong acids and alkalis, acidic cyanides, asbestos, highly reactive mixtures, dry picric aids, bio-hazardous materials and drugs, to name but a few of the potentially lethal cocktail. Cleanaway required AM Environmental to work a shift pattern to speed up the operation to minimise the potential environmental impact on the local area. 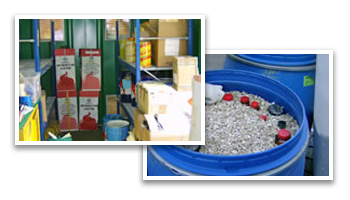 AM Environmental utilise their custom-built nationwide network of expertise in bulk tanker collection and disposal. AM Environmental provided project management to enable DrainBrain to carry out a national drain and interceptor clearance operation on behalf of Railtrack. DrainBrain required A M Environmental to provide 24 hour coverage, 7 days a week and support from Land’s End to John O’Groats. AM Environmental were able to utilise their robust national database and strong relationships within the waste disposal, haulage and recycling industries to provide exactly the back up and support required. AM Environmental work with Asset Management companies and the Environment Agency to restore commercial sites to optimum market potential. A large Printed Circuit Board manufacturer went into receivership leaving a wide range of chemicals in tanks and drums posing a potential threat to the local environment and community. The landlord was not expecting to put the site back on the market for at least six months. 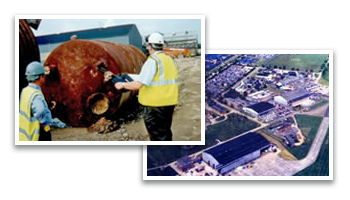 AM Environmental’s expertise enabled the restoration of the site to operational use again within two months. AM Environmental work with the NHS on a day to day and emergency basis. Watford General Hospital called AM Environmental when they had a spillage of a hazardous sterilising chemical in one of their operating theatres which resulted in the evacuation of four floors of the hospital. The chemical had entered the air conditioning system and was an intense lachrymator, which meant it affected the eyes of those who inhaled it, and made their eyes sting and water. AM Environmental worked overnight to clean up the contamination and restore the hospital to full working order before morning. Our reputation in this area has enabled AM Environmental to offer support and advice to the NHS, Health Protection Agency, and pharmaceutical manufacturers. 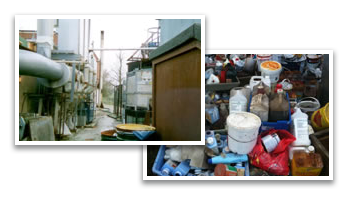 AM Environmental have provided full site surveys indicating where substantial savings can be made in recycling and recovery using alternative technologies where appropriate, hand in hand with incineration. AM Environmental provide support, services and advice to Universities and schools, both in the UK and abroad. At various Universities, AM Environmental provide an identification, packaging, labelling, segregation and disposal service for the many chemicals their science and environmental students use. In some cases, AM Environmental provide specialist services, such as decanting over 8,000 x 2.5-litre glass bottles into 205-litre drums to enable substantial cost reduction to the University. This also allows the University to recycle 99% of their glass bottles. 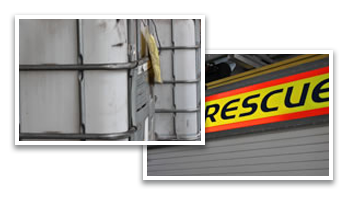 AM Environmental have significantly reduced the University’s disposal costs, not only as mentioned above, but also in other difficult wastes such as out-of-date pyrotechnic emergency flares. AM Environmental were recommended by the University of Bath, and helped negotiate and advise the American University of Beirut with regard to Trans-Frontier Shipping Regulations, Insurances and how best to tender for the removal of their chemicals from site. 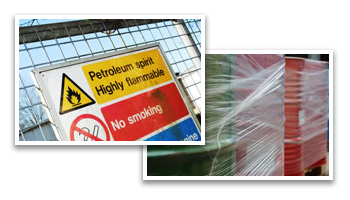 AM Environmental provide an identification, segregation, packing, labelling and disposal service for all laboratory chemicals. If you pack your waste correctly and appropriately, you are able to make considerable savings in disposal costs. Our before and after photographs probably tell you more about what we do than if we try to put this into words. 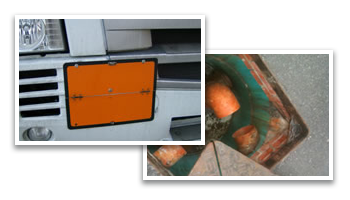 In order to ensure safe transportation, AM Environmental pack using vermiculite which is inert and stops any glass to glass contact in transit. We source appropriate UN Approved containers. 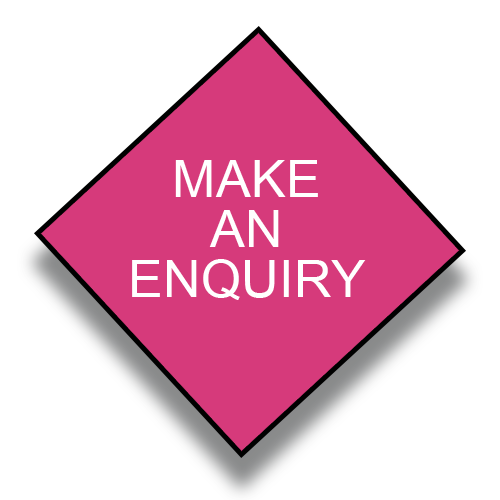 We help you to determine your EWC codes, SIC code and guide you through the complex legislation. We check the compatibility of the load. AM Environmental offer haulage on a dedicated vehicle or, to keep your costs down, we look at other compatible wastes in your area (to share the haulage), or find you a back-load if possible. 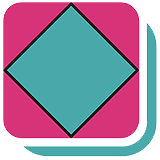 We scour the market place for the most cost effective prices. All in all, AM Environmental appreciate the size of your budget, and make sure that you stay within the law.